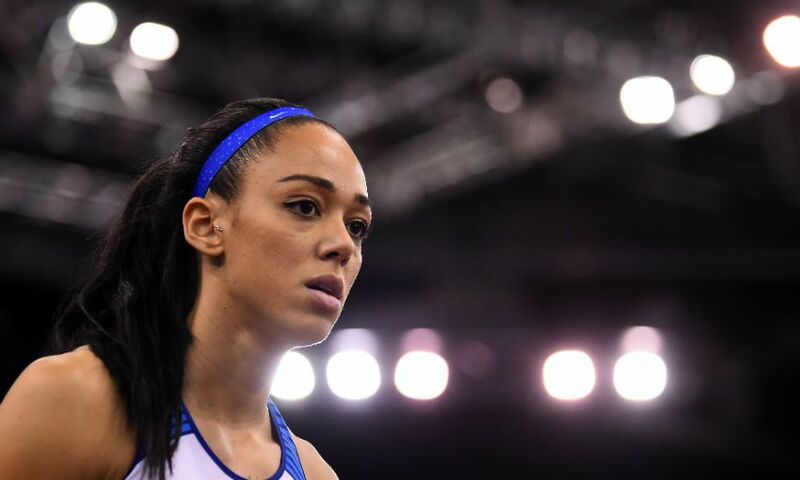 Having spent the last decade pushing herself to the limit in front of crowds of thousands with Olympic, World and European medals on the line, Katarina Johnson-Thompson already has quite enough pressure in her life. But for the last seven months or so, there’s been another source of stress to deal with - and she freely admits that she’s struggling to cope. You’ve probably already guessed that we’re not talking about pentathlon or heptathlon here. Given that the multi-talented Scouse athlete has added three golds to her growing medal collection in the last 12 months alone, that side of things is taking care of itself very nicely. No, it is football - and Liverpool’s bid for the Premier League title, to be specific - that is giving this lifelong Red palpitations. “I’m not enjoying watching football anymore!” Katarina says. “There was a point in the season, I think it was around about Christmas, when I got to attend the Arsenal game [a 5-1 Liverpool win at Anfield] and I really enjoyed it, but now I’m just on edge - every corner, every kick. That tension is rendered particularly acute for Johnson-Thompson by distance, and the fact that she spends most of the year approximately 750 miles away from Anfield at her training base. Montpellier, on France’s Mediterranean coast, is not known for its preponderance of LFC supporters’ clubs, but where there’s a will, there’s a way. “Funnily enough my apartment sits just underneath an Irish pub,” the Team GB athlete reveals. “So that’s where I watched the Champions League final and most of the World Cup. If I’m not too tired after training I’ll wander down by myself - there’s usually some English people in there and that’s where I’ll watch games. If there is a parallel to be drawn between multi-eventing and supporting Liverpool this season, then perhaps it is that sense of having to keep an eye on a close rival’s results. But, from a professional perspective, focusing purely on your own performance is key to success, in Katarina’s opinion. “It’s hard to do that. Obviously sometimes you can’t help yourself, but you shouldn’t,” she elaborates. On those occasions when she does manage to make it to back to Merseyside, Katarina can often be found at Anfield in her capacity as patron of Box4Kids, the charity initiative run by the Barrie Wells Trust that gives seriously ill children VIP treatment at sporting events. When discussing which players she most enjoys watching, it is perhaps no surprise that the Woolton native mentions a fellow Scouser. 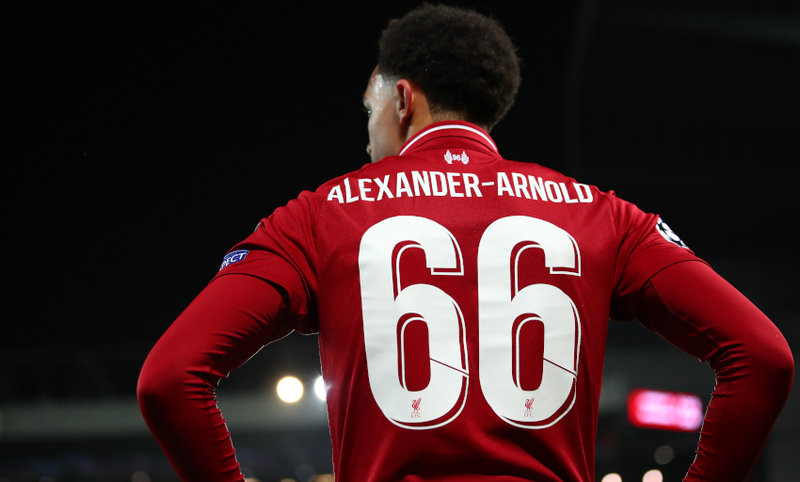 From the West Derby area of the city, Trent Alexander-Arnold has made a swift transformation from Liverpool fan to Liverpool player - and that gives Johnson-Thompson a feeling of affinity with him, given that she competed at the 2012 London Olympics aged just 19. “I can relate to someone like Trent, because when I went to the 2012 Olympics I was sort of like a fan and an athlete simultaneously,” she reflects. As someone who uprooted her life to Montpellier in order to benefit from the tutelage of former multi-eventer Bertrand Valcin, Katarina certainly appreciates the value of good coaching - and she has nothing but admiration for Jürgen Klopp’s work at Anfield. “That’s what I watch most of the time during games, Jürgen’s reactions. I absolutely adore him and he’s great for the club,” she says. Katarina’s love of LFC was instilled in her at an early age by her grandfather, and as she grew older it came to be focused around one player and one night in particular. 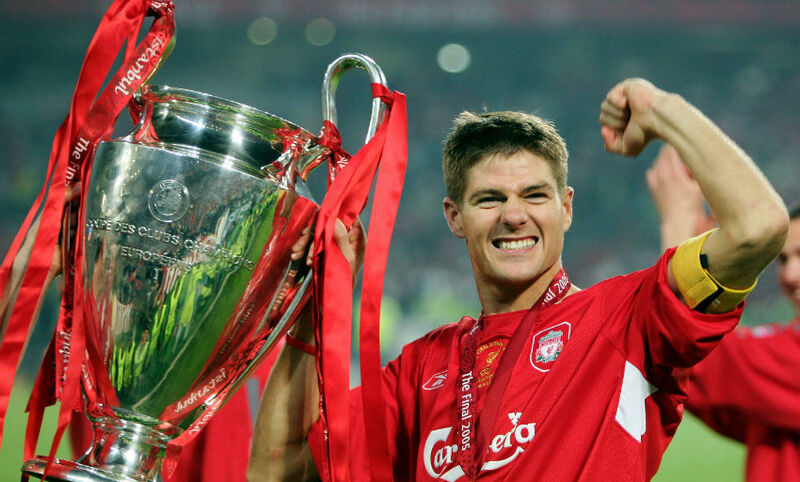 The player was Steven Gerrard, and the night was May 25, 2005. “My grandad, who has unfortunately died now, was a massive Liverpool fan and he’s the reason I’m such a huge supporter,” she explains. “He would even go as far as teaching me to crawl underneath the TV when I was little, because if I passed in front of it when the football was on he’d complain that he couldn’t see the game! Long before her athletic gifts came to light, Katarina much preferred kicking a ball about with her mates and pretending to her childhood hero. “The very first time I went to a football match was Liverpool v Middlesbrough, and it finished a draw [1-1 at Anfield in April 2005], but Steven Gerrard scored this amazing goal,” she remembers. “I just remember that it was the first time I’d seen something like that in real life, and I was like: ‘Wow.’ I was never into athletics growing up, I was always just a football fan, running around with the boys playing football and Steven was one of my absolute idols. Where her career is concerned, 2018 was a stellar year for Katarina, one that saw her top the podium at both the World Indoor Athletics Championships in Birmingham and the Commonwealth Games on Australia’s Gold Coast. This year has started in similar fashion with another gold at the European Indoor Championships held in Glasgow earlier this month, and she’s determined to maintain that positive momentum with the outdoor World Championships and the 2020 Tokyo Olympics on the horizon over the next 18 months. What a magical day! 😮 First in the European champs 🥇and got to enjoy the moment with all my friends and family ❤️😭 Thanks so much for all your messages and support!!!! “I just want to continue winning medals,” Katarina states. “I went through a phase of producing really good performances when it didn’t really matter, so I want to produce good performances when it matters and just add to my CV and try to win medals. Before then of course, there’s the matter of finding out how the Premier League title race concludes - if her nerves can bear it. So what is Katarina’s gut instinct on how the Reds will fare?